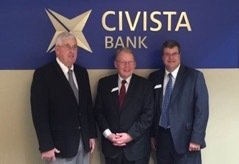 (SANDUSKY, Ohio, July 31, 2017) - Civista Bancshares, Inc. (NASDAQ: CIVB) ("Civista") today announced that, effective December 31, 2017, James O. Miller will retire as an employee and relinquish his positions as chief executive officer and president of Civista and as chief executive officer of Civista's banking subsidiary, Civista Bank (the "Bank"). Mr. Miller will continue as chairman of the boards of directors of Civista and the Bank in the capacity of a non-employee director. Because Dennis E. Murray, Jr. will continue in his capacity as lead independent director, the leadership structure of the boards of directors will not change. As chairman, Mr. Miller's future responsibilities will include assisting in strategic and financial planning, acting as a liaison between the boards and management, providing counsel and guidance to his successor and participating in the Bank's lending decisions. Dennis G. Shaffer, who is currently executive vice president of Civista and president of the Bank, is expected to replace Mr. Miller in his current executive positions as chief executive officer of Civista and its banking subsidiary. Miller said, "This is the next step in our anticipated succession plan and follows the pattern that Civista has set in the past. 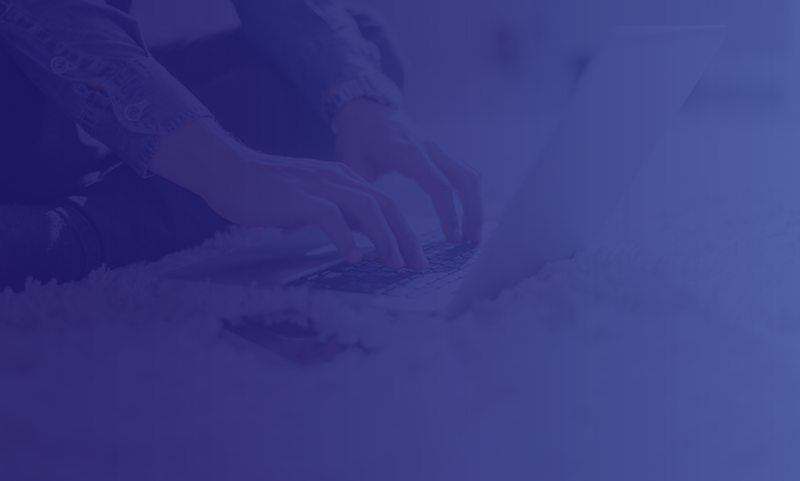 We attempt to be forward-looking and disciplined throughout our activities, and our approach to this transaction is consistent with those approaches." Miller added, "Dennis has the right experience and personal qualities to assume the leadership of Civista. He will also have the support of the well-seasoned team that we have built here." Miller concluded, "While I will be stepping back from day-to-day responsibilities, I look forward to contributing to Civista's success in a modified role." Dennis G. Shaffer has been employed by the Bank since 2009 and has been its president since April, 2014. Before that he held several roles, including chief lending officer. Shaffer has more than 32 years of banking experience, beginning his career in 1985 at the Ohio Bank in Columbus, Ohio. He was employed by Sky Bank from the time that it acquired the Ohio Bank in 1998 until 2007, when it was acquired by Huntington National Bank. At that time, he was Sky Bank's district president for the Columbus, Ohio district and a senior vice president. He continued with Huntington National Bank as senior vice president for investment real estate and business banking until 2009. Shaffer is a graduate of The Ohio State University, the Graduate School of Banking in Madison, Wisconsin and the Ohio School of Banking. He has also completed a number of industry-related educational programs. Shaffer actively serves in various leadership roles in civic and charitable organizations. He serves as a member of the board and the executive committee of the Erie County Chamber of Commerce. He is a board member of the Cancer Support Community of Central Ohio and a past member of the Foundation and Finance Board of the Buckeye Ranch. James O. Miller has served as the chief executive officer of the Bank since 2005 and Civista since 2007. Miller has more than 43 years in banking beginning with Third National Bank in Sandusky in 1974. He joined Civista in 1986 as a vice president of finance and has held several roles in his 31 years at Civista. He was actively involved in planning and growing the company from a $260 million community bank in Sandusky to a $1.4 billion institution located throughout Ohio. Miller is a graduate of Sandusky High School and earned a bachelor's degree in business from Ashland College. In addition he is a graduate of numerous banking educational programs. Through the years Miller has served the community in many leadership roles and currently is on the board of Firelands Regional Medical Center and its executive committee, the Mack Iron Works Company, and the Albert & Olive Schlink Foundation. He is also treasurer of the Erie County Economic Development Corporation, chairman of the Erie County Port Authority, and a founding board member of the Sandusky Area Maritime Association and serves on the boards of the Erie County Historical Association and the Sandusky Bicentennial Commission. He was on the Community Depository Institutions Advisory Council of the Federal Reserve Bank of Cleveland for several years.